Here is a guest contribution from Owl Labs CEO Max Makeev, A CEO Introduces his Video Conferencing Product for the First Time at InfoComm 2017. While the demo at InfoComm did show some proof of what this small videoconferencing device could do, I wanted to set up further discussion after the official product launch. 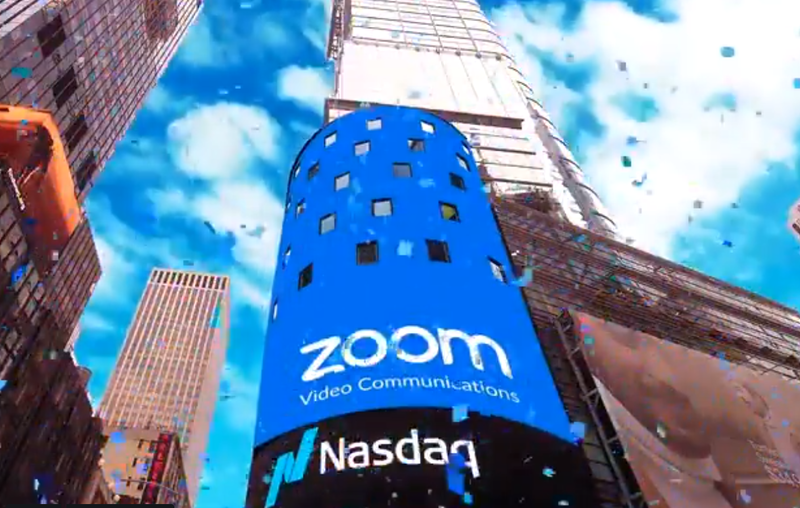 I arranged a Zoom videoconference for the 22nd with Max to discuss the product, its features and function, as well as comparisons to other solutions on the market and the price point. The Owl Labs leadership team (L-R) Amy DeDeo, Head of Operations, Karen Rubin, VP of Growth, Max Makeev, Co-Founder and CEO, Rebecca Corliss, VP Marketing, Mark Schnittman, Co-Founder and CTO. At the beginning of the videoconference with Max, he appeared on a camera mounted in the small meeting room above the TV on the wall, which came as a part of another videoconferencing solution. He was using the Meeting Owl for the audio. Max then returned to center, where he referred to the “connected” as I had alluded to in part one, talking about how remote participants may feel in terms of not being able to hear well or maybe not being able to see well leading him to say, “If you can’t have effective communication, you can’t have effective collaboration. We have to have both.” He also talked about how innovation in such products has always been about increasing the pixel count in the camera, however he went on to say how that isn’t necessarily enhancing the experience for the people in the call. He then moved to a seat at the right side where the other camera would not have been able to pick him up at all. He continued to appear in the panoramic view, and the Meeting Owl picked him up in the lower frame just when he began talking. We discussed the differences in the video between the in-room mounted camera and the Meeting Owl single-lens camera. He talked about the technical aspect, explaining how every camera vendor will have its own image tuning parameters built into the product, how some cameras saturate colors while others don’t. As Max specified, the team decided to go with something a little more natural for the product. One thing that he did want to point out was how if there was a window behind him, with the in-room mounted camera one would see a silhouetted view of him. Max indicated that with the Meeting Owl camera, that wouldn’t happen and even if it was a bright sunny day, the view of the participants would not change at all. Max and I moved on to discuss the product’s features and functionality, and he pointed out how it all mattered greatly in terms of the price point. He also pointed this out for the camera technology he had described. The price point was something we had talked about throughout the call as that is one of the highlights to the function and feature-set of the Meeting Owl – one example being the camera as he stated again that for the price point, there is nothing comparable in an all-in-one videoconferencing device on the market. Adding to this he specified the image tuning being a software update, and if they find a better way to do it (with the product being a WiFi connected device), Max talked about the ease of pushing software updates to the Owl, where he again pointed out how something like this is unique to the Owl Labs product. There would never be the need to do individual software or firmware downloads and pushes to the Meeting Owl. In terms of this benefit he said, “This is one of the value adds of the Meeting Owl, as every time we learn about what’s deficient for the customer, we get to fix it in software, test it in the small subset of customers who we have great relationships with, and then publish it to the entire world and we get to do that frequently.” Owl Labs in their 6 month beta testing phase did just that, pushing night software updates with improvements on device performance, improvements in analytics and more to all of the testers’ Owls. As I talked about the dual lower frame and panoramic top view, Max spoke about how it took two years to develop this custom lens (it’s manufactured by another company) – something that did not exist on the market with any camera vendor. Max discussed the reason for this unique camera’s development as most camera vendors, even those who make 360 lenses, try to focus all the sharpness on the center of the lens so the sharpness drops off on the periphery. Their development focused more on the periphery and not the center, as the center is just pointed at the ceiling. Describing the Owl Labs’ camera process, Max specified how the ceiling gets “thrown away” and they unwrap the image circle (or as he alluded to it as a donut) which provides the panoramic ribbon above. Discussion then focused on how they use the intelligent algorithms to track audio sources and motion – where Max talks about the computer vision tools and robotic algorithm tools that they’ve been cultivating for the last ten years (referring to his and Mark’s background in the robotics industry) to automatically and intelligently track the people in the room. The key as he explained is in the automation, where he referenced an extensive study that he had done on pan/tilt/zoom (PTZ) cameras that he provided for some of their beta testers, along with interviewing people who had actually purchased the devices. Those who purchased he found out, while controlling the camera view is the main purpose, they didn’t have the time or the will to do it. He basically gained the same results from his study, where the users would just zoom the camera out and manually turn it, throwing the remote away. During the conversation, Max received an important software update and with that he claimed that the software will only continue to get better. We discussed comparison of the Meeting Owl with other companies’ products on the market, along with going through distribution where he referred to his days as a Product Manager with iRobot in terms of such strategy. For Max, what’s most important after the recent product launch is to focus on the device as a highly effective meeting tool, along with the importance for people in realizing the opportunity to work with Owl Labs. The continued focus in the call for Max was on innovation and the customer experience, something which Owl Labs looks to deliver in a big way with the Meeting Owl.